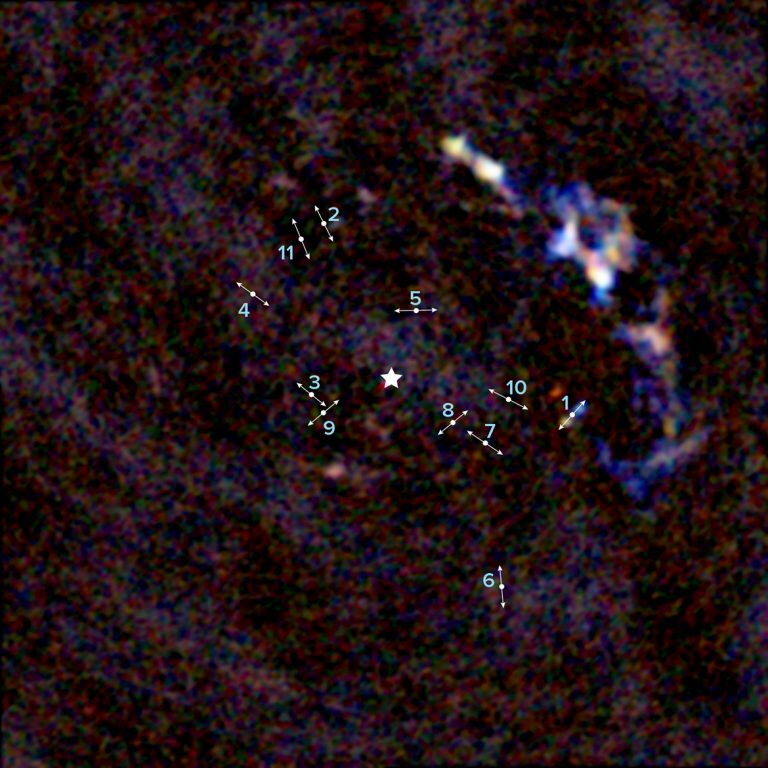 An ALMA image of the center of the Milky Way galaxy showing the location of 11 young protostars within about 3 light-years of our galaxy's supermassive black hole. The lines indicate the direction of the bipolar lobes created by high-velocity jets from the protostars. 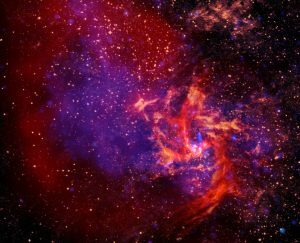 The illustrated star in the middle of the image indicates the location of Sagittarius A*, the 4 million solar mass supermassive black hole at the center of our galaxy. 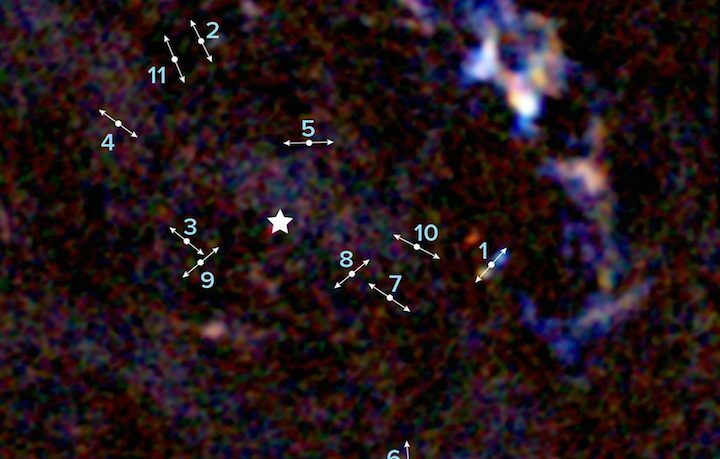 The next image is a zoom-in to one of the protostars. 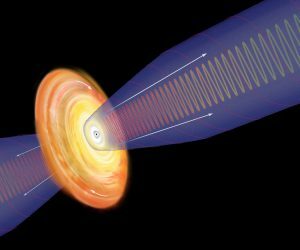 At the center of our galaxy, in the immediate vicinity of its supermassive black hole , is a region wracked by powerful tidal forces and bathed in intense ultraviolet light and X-ray radiation. These harsh conditions, astronomers surmise, do not favor star formation, especially low-mass stars like our sun. Surprisingly, new observations from the Atacama Large Millimeter/submillimeter Array (ALMA) suggest otherwise. 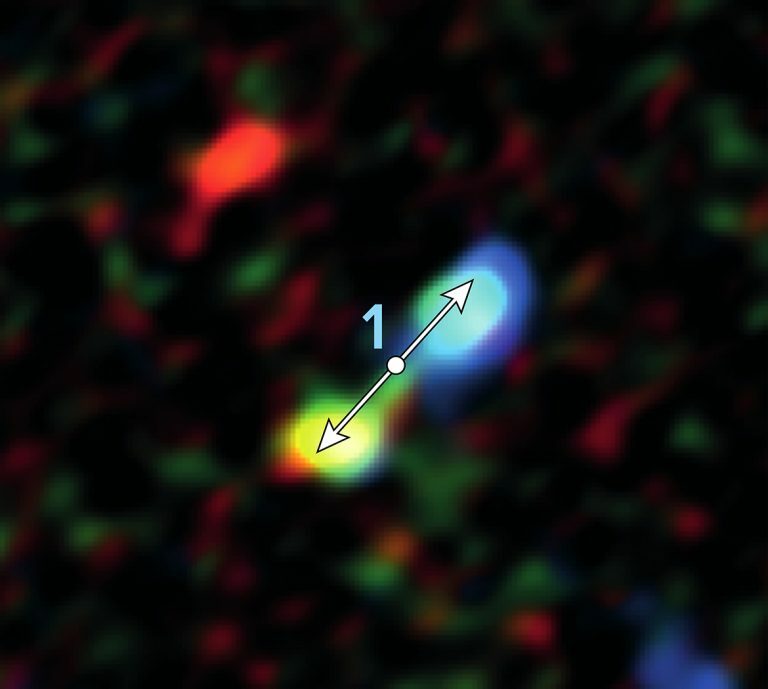 Infant stars, like those recently identified near the supermassive black hole at the center of our galaxy, are surrounded by a swirling disk of dust and gas. In this artist's conception of an infant solar system, the young star pulls material from its surroundings into a rotating disk (right) and generates outflowing jets of material (left).